OPM Silver Bars are made by Ohio Precious Metals, LLC. They are unique from competing refineries in their environmentally responsible production methods that have a small impact on the environment. Investors who are concerned about a green investment profile will find it easy to diversify with their quality silver bars. Every new OPM Silver Bar arrives in a mint sealed plastic package. This sealed package safeguards the bar from damage or oxidation. These bars can be purchased individually or by sheets of ten. Ohio Precious Metals is more commonly referred to as OPM Metals or simply OPM. They began metals productions back in 1974 out of a garage. The initial endeavors of their outfit's refiners centered on recovering any precious metals that they could strip out of telephone equipment. The company went through several name and ownership changes between the years 1974 and 2003. Since 2003, their expansion has allowed them to become the biggest good delivery quality refinery which can stake the claim of making all American products. Their operations are contained entirely inside of the United States, as opposed to their competitors' refineries with only branches in the U.S. OPM is well regarded for its production of both silver and gold bullion. They refine the precious metals into rounds and bars. The mint has gained distinction for its innovative refining and recycling processes. The Miller Chlorination plant is unique and replaced earlier Aqua Regia gold refining. This company takes great pride in its ongoing efforts for greener and cleaner methods of production to reduce their effects on the environment. They are also a pioneer in the field of recycled bullion. Their branded line up of recycled bullion merchandise figures prominently in numerous American jewelry offerings. Jewelers feature it as an environmentally friendly alternative to the foreign competition's metals. OPM Silver Bars come in the four sizes of one ounce, 10 ounce, 1 kilogram, and 100 ounces. Their refinery is able to take scrap metals and refine them to 99.9 percent silver purity. This makes all of their bars .999+ fine. Every OPM silver bar spotlights the simple but recognized design for which the company is well known. On the front of the bars, there is stamped the OPM company logo and name OPM Metals. Below the name and logo, the bars feature information on the number of troy ounces by weight and the quality of the silver. Near the bottom the bars state “U.S.A.” to remind observers that these bars are entirely minted in the U.S. The backs of these OPM Silver Bars present a repeating pattern of the OPM logo. The image may be simple, but it provides an impressive texture that collectors like. The one and 10 ounce sizes come with a brilliant shine. Bigger kilogram and 100 ounce sizes include a matte finish. Either choice provides a sophisticated and attractive appearance in a silver bar. Regardless of their size and weight, all OPM Silver Bars carry a fineness of .999 (99.9% silver content). Silver bars and bullion coins have some important distinctions. Many of the coins are treated as legal tender, while the bars are not. This simply means that silver bars do not come with any associated face value. This does not stop silver bars from providing you with several advantages over the silver bullion coins. Silver bullion bars are minted in vastly lower amounts than are the bullion coins. They are not produced with collectible value in mind. This ensures that the silver bar market costs are much nearer to the actual silver spot pricing. It makes silver bars a truly effective way to acquire the precious metal without paying significant premiums. The market price determines the actual asset value in any portfolios, whether they are for retirement or investment purposes. The prices of silver rise and fall every week day. This is why the cost of OPM Silver Bars also goes up and down each market trading day. You can view live pricing for the precious metals by navigating over to our home page. The internal Revenue Service accepts the idea that precious metals bullion have a place in retirement accounts. The particular IRAs in which they allow you to hold silver bullion are self directed IRAs known as precious metals IRAs. In order for bars to be included in this account, they must meet certain purity requirements. All OPM Silver Bars can be purchased and held in these IRA accounts. Silver proves to be popular since the spot price of silver is always so much less than that of gold. It makes silver bars an extremely reasonable way to insure and hedge your other investments. OPM Silver Bars meet the minimum level of .999 silver purity which the IRS 408(b) section of code lays out as a requirement. First purchases of precious metals have to be at least $5,000 worth of qualifying silver bullion. Later purchases can be made for as little as $1,000 at a time. The IRS mandates that IRA account bars and coins reside in depositories which they approve. These storage facilities are third party owned and operated vaults whose goal is to store and safekeep your bullion. You may already have an IRA account into which you wish to add silver. 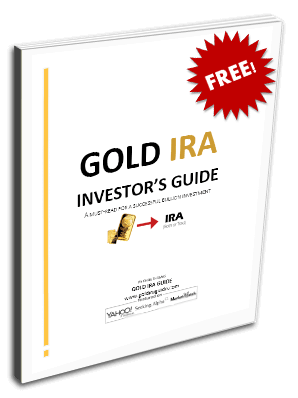 This can be rolled over to a precious metals IRA with relative ease. OPM Silver Bars are liquid enough to sell and buy via coin dealerships and websites throughout the world. Their bars are not serial numbered or registered with the major exchanges to provide you with greater privacy in ownership. Your IRA administrator will arrange to acquire and store such silver bullion bars from a reputable dealer when you are ready to give the order.